Whitehead won gold at the London and Rio Games to add to three consecutive 200m T42 world titles. "The big retirement question has been put out there a lot," the 40-year-old told BBC Radio Nottingham. "People ask me a lot whether I'm going to continue after this year. Those decisions have not been made yet." But he continued: "The World Championships this year may be my last competition on the track. "That's why I'm encouraging as many people as possible to come down to the Queen Elizabeth stadium, because there's going to be fireworks." Whitehead, also a successful marathon runner, became a sprinter in order to compete at the London 2012 games. 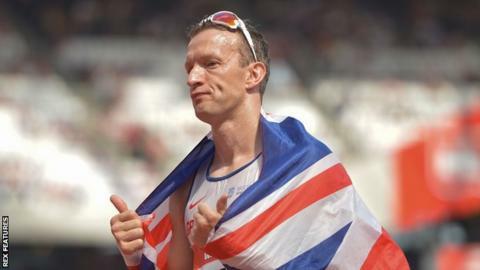 The double amputee won his first gold medal in the T42 200m at his home games, before winning his second in the same event in Rio to go alongside a silver medal in the T42 100m. The World Athletics Championships will take place at the Olympic Park in London between the 4-13 August.